Clarbojahn Presents! Author Sharon Solomon! Part One. Today on Clarbojahn Presents! I introduce you to someone in my Picture Book Critique Group and who’s book, Cathy Williams, Buffalo Soldier, I selected as one of Perfect Picture Book Friday blog posts last Friday. I am honored and proud to finally feature her here. I hope you enjoy meeting her as much as I enjoy knowing her.As some of you are not familiar with how I do these interviews, I will tell you that this is part one and that part two will be featured next Tuesday, October 9, 2012. We go back a long ways and I am thrilled to finally get to feature you on my blog. It must have been three years ago now that I met you at Leesburg First Night at the writers lecture. And you were the one who gave my book “Annie’s Special Day” a name. You told me it was a basic concept book and I knew I wanted to pick your brain from that moment on. It was clear to me that you knew a lot more about children’s books than I did. I know I said I would do this way back in the spring and then I took that lovely blog vacation and now finally get the chance to host you. You are by far my most prolific children’s author yet. SS: I’m so glad you were able to get “Annie’s Special Day” published. Teachers and children will enjoy it and learn from it as well. CBJ: Thanks so much, Sharon, you have three published books, right? SS: Yes, I have three books. Primary Science Readers’ Theatre, A Walk with Grandpa and Cathy Williams, Buffalo Soldier. CBJ: Can you tell us about each book? SS: Right now, I do not have a favorite one. 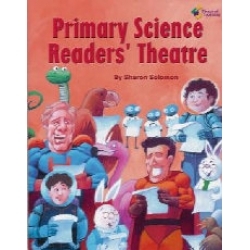 My first book, Primary Science Readers’ Theatre began when I was an elementary reading specialist in New Jersey. I noticed that poor readers especially had difficulty reading textbooks. So I took a unit from a second grade science textbook on habitats and wrote a play, How Flossy Flamingo Lost Her Habitat. I added a song and typed it up and took it into the class. The children were assigned parts and practiced before we read it out loud. It was a hit! I decided to write ten more and got them published into my first book by Pieces of Learning in 2002. At this point, I didn’t consider myself a children’s author, but I joined SCBWI and began attending conferences and a writing critique group. When I retired in 2006 and moved to Virginia, I read in the Children’s Writer Magazine that Raven Tree Press was looking for picture books about families. I had already written one called Tulip and Pop Pop which they published as a bilingual English/Spanish book called A Walk with Grandpa. It is also now an eBook. 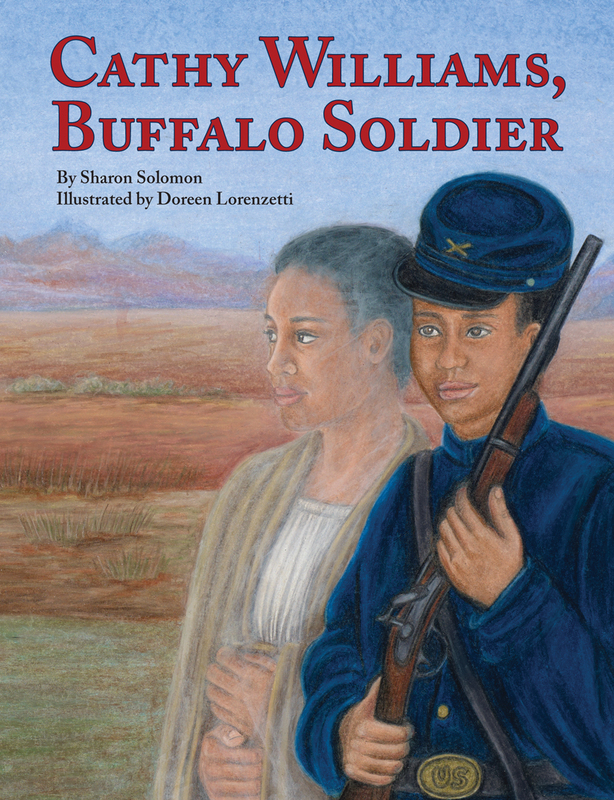 My third book is a picture book biography called Cathy Williams, Buffalo Soldier. I had learned about Cathy’s brave and true story and tried writing it as a middle grade chapter book. It was rejected 25 times before I rewrote it as a picture book. Cathy Williams is the only documented female Buffalo soldier. I was fascinated with her story, first as a slave, then as a contraband cook and laundress for the Union Army during the Civil War, and later as a Buffalo soldier. Cathy was a gutsy lady. She decided that earning $13 a month in 1867 was better than cleaning houses. So she cut her hair, put on men’s clothes, and said her name was William Cathay. She enlisted in the U S Army and signed her name with an X. I wrote the picture book in the first person to try to think and feel like Cathy. Then I rewrote it in third person and Pelican Publishing accepted the manuscript. CBJ: Can you tell us what you did before you started writing? When did you know you wanted to be an author? SS: I was an elementary reading specialist. I never set out to be an author, but after the science plays were published, I immersed myself in writing and caught the writing bug. CBJ: What inspired you to write these children’s picture books? SS: I already explained how I wrote the science plays. As for a walk with Grandpa, I had taken a walk with my granddaughter, Ella. I wrote the book based on our walk but put in the grandpa because I knew that boys would read a book with a male character. As for the Cathy Williams story, I was reading a book called Riding Freedom by Pam Munoz Ryan. It was about a girl who disguised herself as a boy and ran away from an orphanage. She lived the rest of her life as a man, learned to drive stagecoaches, and bought land in Montana and voted as a man. I went to the computer and googled “pioneer women of the west” and Cathy Williams’ name was on the list. That’s how I found her amazing story. CBJ: Do you do research before each book? Can you tell us a little about how you go about it? Your trick with searching at the library of congress to see if there are many books on that subject seems key to me. SS: Before I even write a book, I check on Amazon and the Library of Congress to see if it’s already been written. If so, I don’t write the book. I did lots of research for the science plays and Cathy’s book. I went to the Civil War. Cathy herself was illiterate, so I had no diary from her. I love doing research and learning new things. I even went to Middletown, VA to the Belle Grove Plantation to visit. That was where Cathy was cooking for General Philip Sheridan toward the end of the war. I have done book signings there as well. Thank you Sharon for sharing your story with us so far. We look forward to next Tuesday to hear the rest of your writing journey. 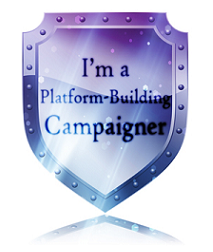 For those of you who would like to contact her, she can be found on facebook and her website www.sharonsbooks.net. Next Tuesday we’ll learn about her writing process, if she has an agent and some other juicy details about how she gets published. Please post your questions for Sharon in the comments as she would love to hear from you. 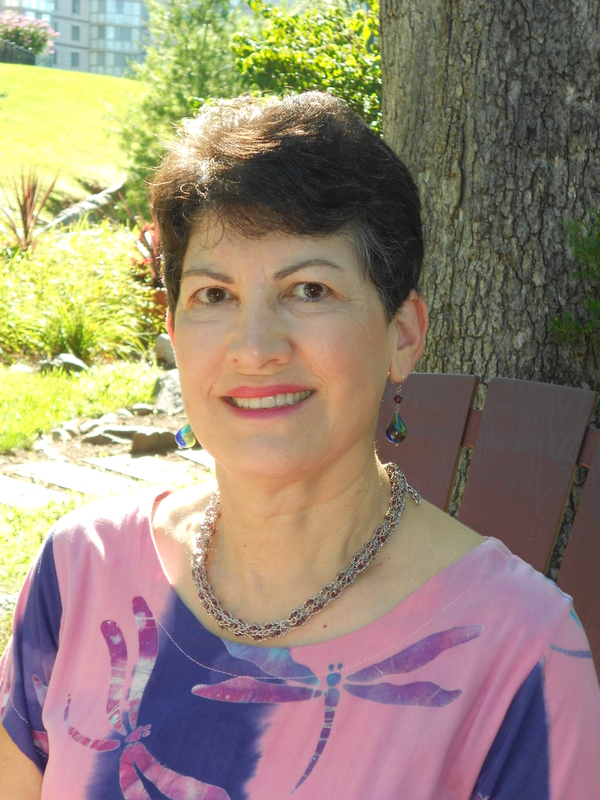 Sharon K. Solomon is a retired elementary reading specialist with over thirty-five years of educational experience. Her first book, Primary Science Readers Theatre, is a series of science plays published by Pieces of Learning. 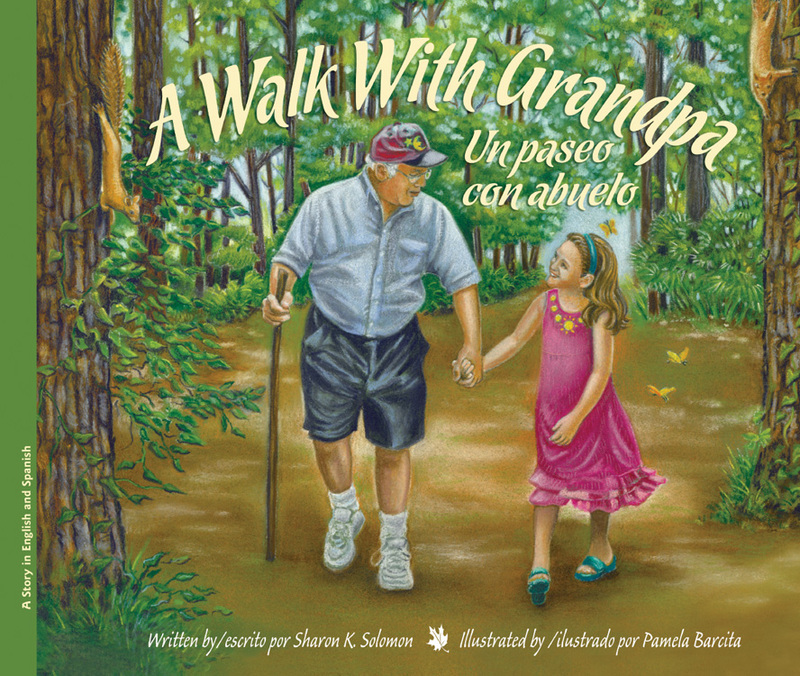 Raven Tree Press published her bilingual picture book, A Walk with Grandpa, in May of 2009. Sharon likes to write a variety of genres including plays, picture books, early chapter books and middle grade fiction and historical fiction. Her picture book biography of a freed slave who became a Buffalo soldier, Cathy Williams, Buffalo Soldier, was published in 2010 by Pelican Publishing Company. Cathy Williams is the only documented female Buffalo soldier to serve in the U. S. Army. Another picture book biography about mariner Christopher Newport will be published in 2013, as well as a fiction chapter book by Solstice Publishing. Sharon is an active member of the Society of Children’s Book Writers and Illustrators and a member of a local critique group. Observation is a great way to gather fodder for books. Sharon uses real life experiences in some of her writing and enjoys doing research. She is currently writing another picture book biography. Sharon and her husband are avid travelers. Visiting new places always gives fresh ideas for writing. Sharon’s free time is spent reading, traveling, and enjoying her three grandchildren. This entry was posted in Clara Bowman-Jahn, Clarike Bowman-Jahn, interview, social networking and tagged author, authors, Buffalo Soldier, Cathy Williams, Children's literature, interview, Pelican Publishing Company, Picture book, Sharon Solomon. Bookmark the permalink. 24 Responses to Clarbojahn Presents! Author Sharon Solomon! Part One. Loved to read this after the review of Cathy Williams, Buffalo Soldier. I hadn’t thought of searching the library of congress. Is that straightforward? Just go on loc.gov and go to their digital catalogues and do a search. Good luck. Thanks, Sharon, for giving us a peek into the writing of “Cathy Williams”. They are helpful to me since I am drawn to Historical PBs…my current one seems to be moving from a PB to a middle grade novel. Looking forward to the remainder of your interview…and reading the book! I’m also drawn to reading and reviewing historical fiction. I’m in awe of the research involved. I enjoyed Clar’s review of “Cathy Williams.” I the like strong, women of that period and realize the extremes they had to go to stay true to themselves and pave the way for others. Great interview ladies. Thanks. I’ll bet there are lots of strong women that haven’t been written about yet. You’ll like them, I’m sure. Yes, and Pelican Publshing has lots of picture book bios. Check out their catalogue. Not only an interesting interview, but a wonderful account of the evolution of Sharon’s talents….from a creative and enthusiastic reading specialist to a terrific author. Sharon clearly knows how to ignite kids to read! Yes, she has a keen understanding of kids and what they like to read. Thanks. If I find an interesting story that I think kids would like, I do research and write it. It may not always get published, but some of them are! It is clear that Sharon’s experiences as a teacher have shaped what she writes. She KNOWS what kids love to read. These three books offer a terrific beginning to her writing career. Huge congratulations, Sharon. Thanks, Margot. I taught elementary school for 35 years. I also run some of my ideas by my grandkids. They are my critics as well as my writing groups. Wonderful information. Thanks for this! I like people to read about the not so famous underdog who wins in the end.